Keep track of your keys with Jack's help! 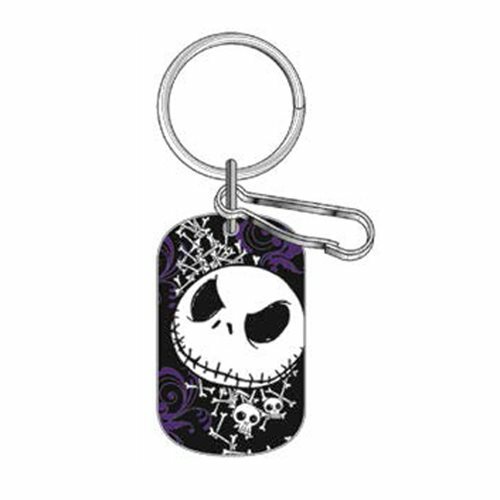 The Nightmare Before Christmas Bones Enamel Key Chain features Jack's face in front of a stream of bones and a purple bat swirl. Includes a key ring and hook for attaching keys. Measures approximately 2-inches long. Ages 13 and up.